I had too much fun. Overeating, overdrinking, and overpartying but how sweet it was! Now I’m ready to head toward Christmas and Chanukah. Since I love to celebrate, I’m sharing what I can with my awesome readers who mean the world to me. Some housekeeping first! Congratulations to Tammy, Donna, Kathy and Laura for winning my Thanksgiving contest! They received signed books and a $25 Amazon gift card. The Holiday Hoax is receiving some rave reviews so please check it out! Only $1.99, and short enough to read in between the chaos. 4 stars from RT Book Reviews, RomFan Reviews, and Sizzling Book Reviews! The Marriage Mistake hit the New York Times and USA Today bestseller list for the third week in a row! If you read the book, please consider leaving a review on Amazon, Barnes and Noble, and Goodreads. It makes a big difference! My street team is growing stronger so there is still room for any readers or fans looking to join! Drop me an email and I’ll add you to the list! Or click on the F symbol on the right of my home page. In order to be entered to win you must post a comment. If you share the contest on Facebook, then you will be given an additional entry for that day. Everyone is encouraged to enter both ways on each of the twelve days of contests. Each day I will list the prize, and pick a winner each night by random. That’s it! In addition to my prizes of books and gift cards, several other authors have donated paperback and ebooks to the contest. They include: Sydney Landon, Kathleen Brooks, Wendy S. Marcus, Calli MacKay, Christina Tetreault, Carolyn Sullivan, Annette Blair and Elaine Raco Chase! There are many wonderful authors contributing to this event with TONS of prizes! THANK YOU to each of you. You have made this an incredible year for me and I am very grateful. Please have fun and good luck! When can we expect Sawyer’s story? I finished The Marriage Mistake in one day and was quite sad when the book reached its end. I cannot wait for the 4th one in the Marriage Series to come out. =) In the meantime, I will be purchasing The Holiday Hoax. Thanks Kristin! Working on Sawyer’s story now so not out till hopefully the spring. In the meantime, I have a new book also coming out in January to tide you over -details soon! Congratulations on TMT hitting the bestseller lists for three weeks in a row! Aww, thanks so much Lacey! I agree, I’m not cleaning – just getting to Christmas!! Hope you had a nice Thanksgiving! 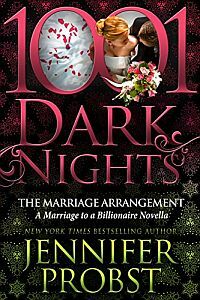 I loved all three of The Marriage Books & I greatly looking forward to your next one. I so enjoy reading that people look at me funny if they don’t see a book in my hand. Your books just made me wish for another one! I went onto your sight to check if it was all set up for the new contest but it is telling me that that page CAN NOT be found when I click on it! So I will not be able to see your daily questions! HI Lynn! So happy you are enjoying my books – thanks so much! Oops, you’re right the link isn’t working. Contest won’t start until Saturday 12/1 but I’ll fix the link. You can also get to my facebook by clicking on the F logo on the right hand side of my home page!!! glad to know book four is on the way… can’t wait to read Holiday Hoax. HI Laurie! I’m so happy it was recommended by your friend and you enjoyed it! Made my day. Thank you tons for letting me know and leaving positive reviews – I hope you have a wonderful holiday season! !